Sleep gives brain disease warning: Canadian researchers warn that Physically “acting out” dreams when asleep could be an early warning sign of dementia or Parkinson’s disease. Thiamine ‘reverses kidney damage’: A team from Warwick University have shown that doses of vitamin B1 (thiamine) can reverse early kidney disease in people with type 2 diabetes. 20% ‘have blood pressure gene’: Research suggests that one in five white people carry a gene fault that could raise their risk of high blood pressure. Vietnam pushes back against AIDS epidemic: In the past decade, the number of people living with HIV in Vietnam has tripled. Wall Street Journal reporter Lam Thuy Vo describes the steps that the Vietnamese government is now taking to curb the spread of this virus. Festive medical myths: A number of common medical or health beliefs related to the holidays and winter season are investigated for their scientific validity. Brown “totally against” changing laws on euthanasia: Prime-minister Gordon Brown gives his opinion on Euthanasia in an interview with head of the Catholic Church in England and Wales. Smiles and scowls ‘in our genes’: A team of US researchers that compared the facial expressions of normal sighted and blind athletes have provided strong evidence that the facial expressions we make to show or hide emotions are as a result of our genetic makeup and are not learned during life (picture left showing blind athlete after losing match). Sickle cell trait and priapism: Case report of a 32-year-old African-American man presenting with priapism who was later diagnosed with sickle-cell anaemia. A literature review investigates a possible link between these two conditions. Seven unsolved medical mysteries: This list published on the New Scientist website describes seven ailments that have perplexed the medical profession. Chocolate, wine and tea improve brain performance: As if by Christmas miracle, a group of Oxford researchers working with colleagues in Norway, publish a study to suggest that chocolate, wine and tea enhance cognitive performance. However, it should also be noted to those overdoing it at Christmas that while moderate alcohol consumption is associated with better cognitive function and reduced risk of Alzheimer’s disease and dementia, heavy alcohol intake could be one of many causes of dementia – as well as a host of other health problems. Healthy New Years resolutions: A few familiar New Years resolutions suggested by Cancer Research UK that could help to dramatically cut your risk of cancer. Vitamins do not cut cancer risk: Two longitudinal studies published in JAMA have found that neither vitamin E nor C supplementation reduced the risk of prostate or total cancer in men. Lower rejection rate in patients receiving two organs in single transplant: A new study involving more than a million transplant recipients has found that rejection rates are lower in patients who receive two organs at once than in those who receive a single organ. Cold sores link to Alzheimer’s: Research from a University of Manchester team has suggested that the herpes virus behind cold sores (pictured right) is a major cause of the protein plaques that accumulate in the brains of people with Alzheimer’s. Top 10 medical innovations for 2009: Following the 6th Annual Medical Innovation Summit a list was compiled of the top 10 medical innovations for 2009, see them here. Google trends: Alternative medicine and dieting trends: An interesting blog following on from the recent features on the google flu trend, this article shows the trends for searches on various types of complimentary medicine and also some rather amusing, if not predictable, trends in searches for ‘diet’. Timing baby’s arrival to lower asthma risk: The American Journal of Respiratory and Critical Care Medicine reports that children born in autumn have a 30 percent higher risk for asthma than those born in other seasons. The finding is based on a review of birth and medical records of more than 95,000 children in Tennessee. Gene expression can predict the survival of lymphoma patients: A recent study published in the New England Journal of Medicine identified sets of genes in large B-cell lymphoma patients that influence the effectiveness of chemotherapy. Video: Treatment of club foot in Africa: While working in the orthopaedic department at Ngwelezana, South Africa, Dr Andrew Hogg put together this video and blog to inform patients and their families of the treatment procedure for club foot. Complex medical tests made from standard paper and tape: At the cost of 3 cents, a group of Harvard chemists have shown it is possible to make sophisticated medical tests from no more than paper and double sided tape. The tests can be used to check for dozens of diseases, such as HIV, dengue fever or hepatitis. According to WHO, the Ministry of Health of Indonesia has announced two new confirmed cases of human infection with the H5N1 avian influenza virus. In the first case, a 9-year-old female from Riau Province developed symptoms on 7 November and was hospitalized on 12 November. She recovered and was discharged from hospital on 27 November. 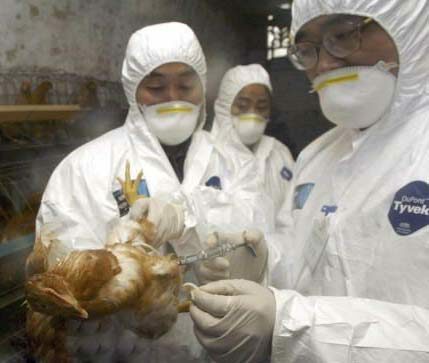 Laboratory tests confirmed the presence of the H5N1 avian influenza virus. The second case, a 2-year-old female from East Jakarta, developed symptoms on 18 November, was hospitalized on 26 November and died on 29 November. Laboratory tests have confirmed infection with the H5N1 avian influenza virus. Initial investigations into the source of her infection suggest exposure at a live bird market. Cases Journal and JMCR will accept case reports on infectious diseases and all other areas of healthcare. We all use Google daily, and an increasing number of people are using it as an alternative to PubMed as a way of finding medical and scientific information – but are you searching as well as you could be? A presentation on ‘Google for Life Science Researchers: Searching Power and more’ by Patricia F Anderson at the University of Michigan gives some excellent advice on how to find the results you need, and plenty of tips that will save you time keeping up to date with new developments in your field. All our case reports are included in Google and Google Scholar, and as they are open access, you can click straight through to the full text from your search results. First GP led health centre opens: The first of 152 proposed GP led health centres opened its doors this week. The centres are part of a government plan that hopes to provide a minimum of 2.6 million extra GP appointments a year. Placebo: prescribing positive expectations: An interesting research article in the BMJ provoked a flurry of medical blog posts, reporting that approximately half of the doctors surveyed regularly prescribed placebo treatments, with most physicians surveyed (62%) viewing this practice as ethically permissible. Case report: bone marrow transplant for gut failure: Two brothers born with a rare disease that destroys the gut have become the firsts individuals to be cured using stem cell technology. Conjoined twin dies after surgery : A British 18 year old girl made medical history this week by becoming the youngest mother to give birth to conjoined twins. Sadly, shortly after surgery to separate them, one twin died. Location of autism genes identified: At the American Society of Human Genetics Philadelphia, researchers reported the results of two genome-wide genetic analyses, identifying five significant loci that contribute to autism susceptibility, three of which had not been reported previously. Asthma may not be one disease but an “umbrella” term for multiple conditions: Recent findings that some gene variants contribute to early-onset asthma but not later-onset asthma may point out that asthma is not one disease but several different conditions. Cyberchondriacs: are people who needlessly fear the worst diagnosis after surfing the net. A recent BBC article reported that about a third of the Microsoft employees who answered a survey on their medical search habits “escalated” their follow-up searches to explore serious, rarer illnesses. Retail DNA test wins best invention of 2008: Time Magazine’s top prize for “invention in 2008” was awarded to the makers of a retail DNA test (pictured, left); a $399 saliva test that estimates your predisposition for more than 90 traits and conditions ranging from baldness to blindness. Fatal tongue piercing: America’s first published case of death following fulminant herpes following a tongue piercing.